I tried some fantastic dips at the Travel show today. 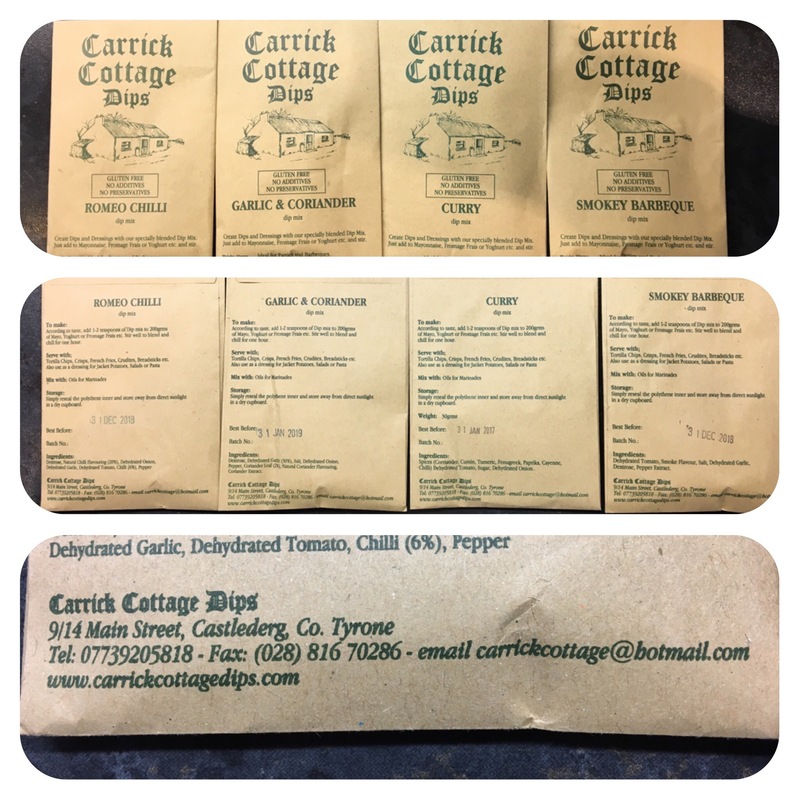 An ingenious idea from Carrick Cottage Dips . Really simple concept-just add a teaspoon or two to 200g of yoghurt, creme fraiche or mayo, mix and chill for 1 hour. Order directly online as per link or picture. The flavours I got were garlic & coriander, Romeo chilli, curry and smokey BBQ- looking forward to trying them!! !